Planète Chocolat offers you secure methods of payment. Our delivery charges for California are €17.90 including taxes. Would you like to send a gift to somebody close to you that lives in California? Whether it is for a birthday, wedding or even a baby being born? 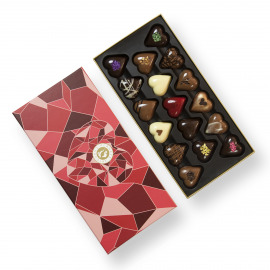 Do you live in California and wish to receive Belgian chocolate? 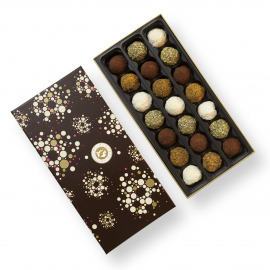 Whether you live in Los Angeles, San Francisco, San Diego, Sacramento or even Fresno, take advantage of Planète Chocolat’s gift delivery service! Located on the West coast of the United States, bordered in the South by the Mexican desert of Sonora and Arizona, to the East we have Nevada and to the North we have Oregon, California is the most populated state in the United States with close to 40 million residents ; amongst which 1 out of 8 are American. Yes, its capital is Sacramento, but it is not however the biggest city in California. Indeed, its most populated metropolis’ are Los Angeles (which is the world’s movie capital), San Francisco (the world’s high technology capital) and San Diego (which possesses a important military center). In reference to the Gold Rush period, California’s nickname is ‘The Golden State’, It is also the symbol of the ‘American Dream’. California possesses a very powerful and dynamic economy and for good reason - it is the leading state in the U.S. in terms of G.D.P (gross domestic product). Since the 1980s, Silicon Valley, which is located in the South of San Francisco, is the first world hub for high technology. Innovation is one of California’s biggest assets, which is furthermore why this state where the most patents are initialised (one quarter of the patents are initialised in this state). 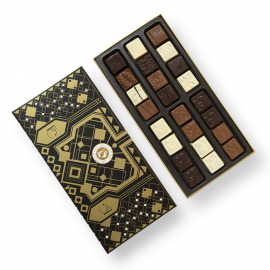 The Gold Rush was also an occasion for research pioneers to discover European chocolate. Furthermore, this is the case of the Guittard Chocolate Company, founded by Etienne Guittard, who immigrated to California in 1850. If the grandfather of the current president of the company can’t find any nuggets, then he’ll discover French chocolate on the spot. 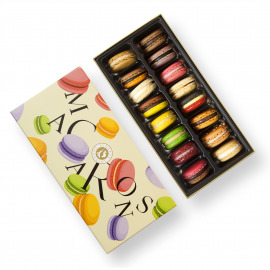 Facing a moral dilemma ever since, he opens his first chocolate factory in San Francisco. It is also important to note that a chocolate confectionary already existed back in the 19th century. 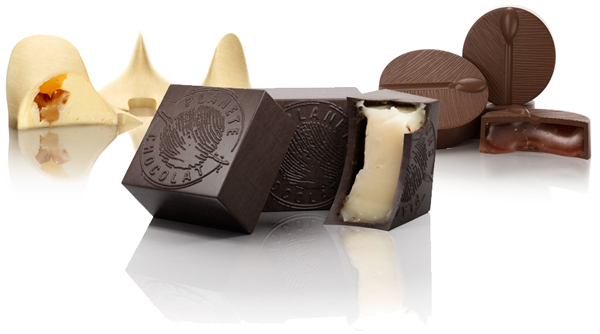 The colder climate in San Francisco in relation to Los Angeles has furthermore determined the installation of chocolate factories in this region. 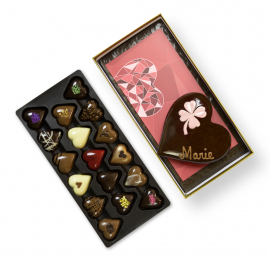 Chocolatiers also benefit from the affairs between the Maritimes and South America, Oceania and Southeast Asia since it is easiest to import cocoa beans that way. It is evident the taste of that trademark West Coast chocolate will be different than that of the East Coast in the United States. 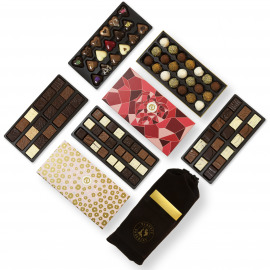 If you were born in California, or you would like to get our chocolate for different reasons, take advantage of our chocolate gift delivery service shipping to California and learn about how our chocolates are made, experience our chefs’ expertise and unique kinds of delightful chocolates. 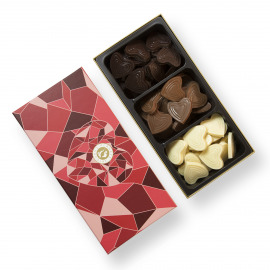 Whether it is for Christmas, Easter or Valentine’s day ; any occasion is a good occasion to enjoy Belgian chocolate! 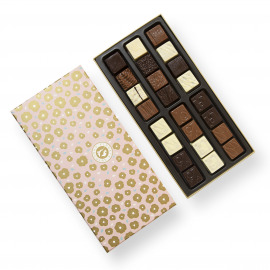 In order to guarantee a quality delivery service to California, we wrap your chocolate in a special isothermal package invented by cooling specialists if temperatures tend to be high. Your chocolate is sensitive to heat and fragile, therefore it is protected from impact and kept at a temperature under 20 degrees until it arrives at its destination. Thus, quality and taste are always guaranteed.